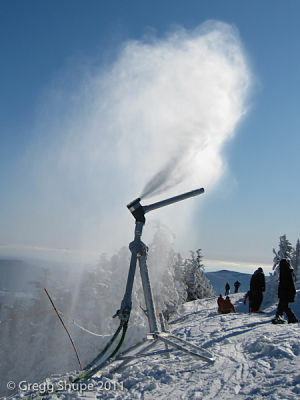 Snow Making Applications – We have the ability to produce highly efficient custom snow making gun designs. Because they are made of special aluminum extrusion, our products are lightweight, yet very durable and are strong enough to withstand high pressure. They are also able to withstand tough outdoor conditions and temperatures, giving them an advantage over other similar applications. Liquid Nitrogen to Gas Exchange Cold Sinks – Silver City Aluminum extrudes the heat sinks that are necessary for the liquid to gas conversion for big holding tanks. You might have seen these tanks in hospital parking lots, at commercial buildings and at local municipal public buildings and locations. Collars for the Automotive Industry – We also produce collars for the automotive and other similar industries, that are extruded first into long lengths before being cut into smaller pieces. Those smaller pieces are then used to fabricate opposite collars. 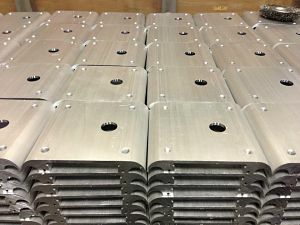 This helps to reduce costs overall, making them even more cost-effective for our clients, but they are also an effective and durable alternative to more costly steel. 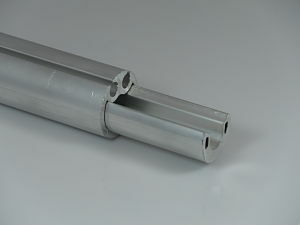 Telescoping Profiles – Silver City Aluminum has the ability to extrude telescoping profiles that fit into one another perfectly. 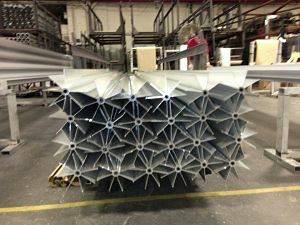 We create these most often for display companies and each profile is kept at such a tight tolerance, that the smaller telescoping shape fits perfectly to create a snug product.